Spacious and comfortable accommodation on 2 levels operating with 10 letting bedrooms, 7 having en-suite facilities. 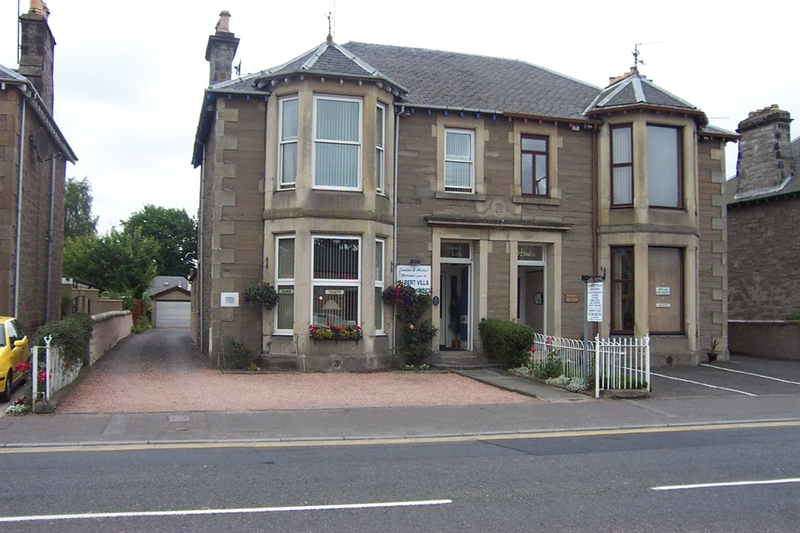 Albert Villa, where a warm and friendly welcome awaits you, is situated just off the A9 Inverness road and within easy walking distance of the city centre. We offer spacious and comfortable accommodation on 2 levels with 10 letting bedrooms, 7 having en-suite facilities. Our 3 ground floor rooms each have their own separate external access and are ideal for guests who like to come and go as they please. All our rooms are attractively decorated and equipped to a high standard each having recently been upgraded. They all have hospitality trays, LCD TV/DVD combos and central heating. There is ample private parking available on site. All rooms have access to Free Wi-Fi.